A solid financial plan is the roadmap to your financial goals. 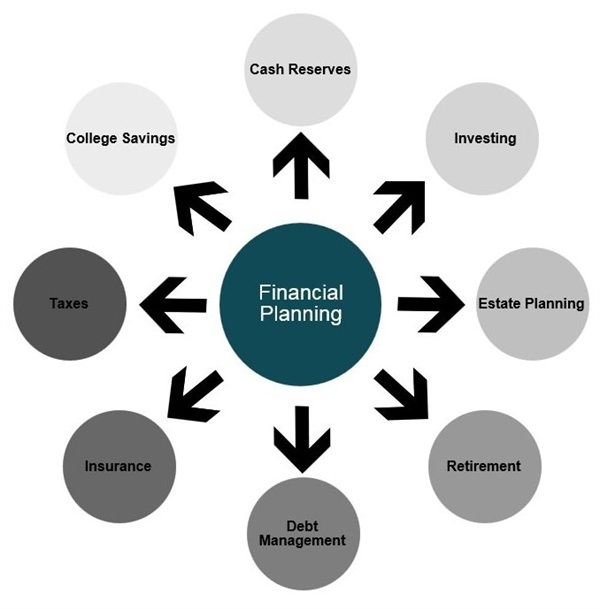 According to the 2012 Household Financial Planning Survey conducted by the Certified Financial Planner Board of Standards, only 31% of American households have a solid financial plan, which is defined as a plan that covers savings and investments; planning for retirement, education, emergencies, major purchases, and other financial goals; and insurance needs. Working with your financial advisor to develop a financial plan for you and your family will allow you to identify your financial goals, but also align your investment strategy to those goals. Before we begin financial planning for a client, we asked that he or she fill out a short questionnaire and monthly budget worksheet to help initiate the discussion. By using these two tools, it allows us to guide the discussion with our clients to help them discover their financial goals. While some procrastinate when it comes to financial planning, others rush into it and put all their savings into retirement plans and accounts without considering the consequences and tax effects. Careful consideration should go into each step. An initial appointment will be made at your convenience to discuss your present situation as well as your financial needs and goals. We will also utilize a technology that effectively analyzes your risk tolerance level for reaching these goals. From this meeting, we will be able to establish your objectives and profile. Utilizing cutting edge technology to assist us, we will develop a detailed plan and strategy that helps address your unique situation and goals. Once a plan has been created for you, we will bring you back for a second meeting where we will go over the plan in detail. Choosing an advisor is an important decision not to be made lightly. We have this complimentary process in place to demonstrate to you what our firm can offer, and we hope that you use it as an opportunity to gain insight into the benefits of working with Paragon Financial Planning Group.